STEP 1: Utilizing the video source selector on the Podium, select the system input by pressing the corresponding button. The selected button will be illuminated. The document camera will display any media placed on the display surface. Simply place the document, X-ray or 3D object directly on the display surface. You will then see the object displayed on the podium monitor. The document camera contains two light sources, but neither are required to view objects. NOTE: The Elmo document camera was not designed to display an entire 8 ½ X 11 document in readable form. If the purpose is to read text from a document, a paragraph view is recommended. This VCR/DVD player is designed to provide a clear still frame view. This allows the user to "freeze" the picture on one frame. This is accomplished by pressing the pause button on either the VCR or on the remote. NOTE: The podium and witness touch screens can be used to superimpose mark-ups on a still frame view. 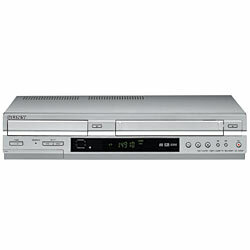 The VCR/DVD player can remain running while the Video Source Selector is used to select an alternate video source. This may be useful in toggling between a VCR/DVD still frame shot and the document camera. The volume for the VCR/DVD player is controlled by the courtroom deputy. input via the control unit. NOTE: We highly recommend using 1024 x 768 screen resolution on the laptop. Also, the laptop may need to be configured to display to an external monitor. Consult your operating system manual for instructions on how to verify/select these settings. The podium and witness touch screens can be used to superimpose mark-ups on a still frame view. To freehand draw: Press the flesh side of a finger on the monitor screen and draw it across the image until the drawing line or line segment is complete. Lift the finger off of the monitor to end drawing. This step may be repeated multiple times. To overlay a pointer: Briefly tap the monitor screen with the flesh side of a finger at the point where you would like a copy of the pointer to be placed. This step may be repeated multiple times. To erase: Briefly tap the monitor screen with the flesh side of a finger on the top right-hand side of the screen to erase the last mark made. Repeat this step to continue erasing previous marks sequentially. Briefly tap the monitor screen on the bottom right-hand side to clear the entire screen. To change the pointer: To change the pointer style, color, line width and/or brightness: Briefly tap the finger at the top/middle of the screen . The Setup Menu will appear on the screen. There is also a touch screen monitor at the witness stand. This monitor is identical in size and functionality to the one at the podium.